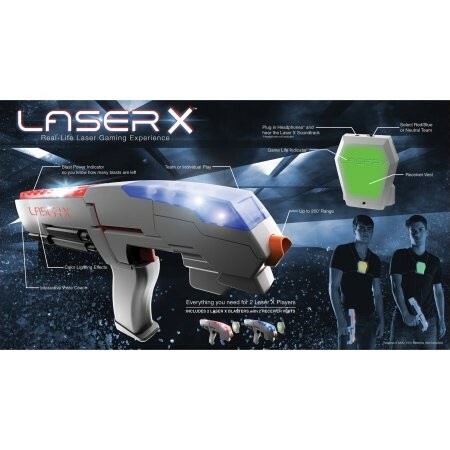 Get a real life laser gaming experience with this Laser X 2 Player Gaming Set! It comes with everything you need for to people to play. 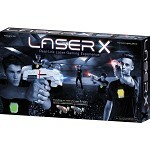 This Laser X- double game provides you with fun and entertainment that can be done either indoors or outside. You can blast your opponent's receiver from up to 200' away. 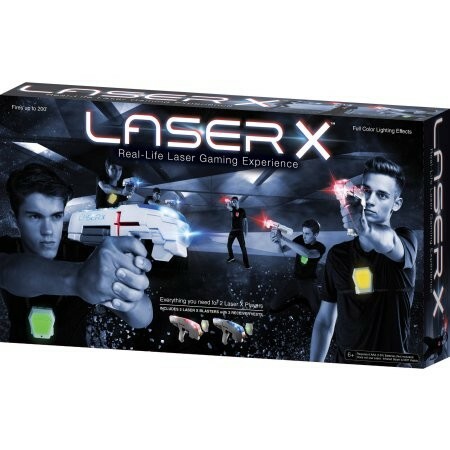 The laser gaming set features full-color lighting effects that let you keep track of shots and hits. It also has an interactive voice coach that gives feedback and tips during the game to help you out. You can even plug in headphones and hear the soundtrack and sound effects. 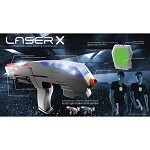 This unit is compatible with all other Laser X sets. You have the option to play as a team or as individuals. 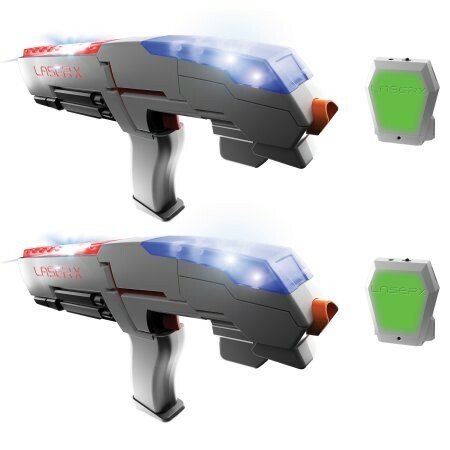 This can provide all of the fun you need for your child's next party!